How would you feel getting an error message from an online service (you must at least use a few ones) explaining that the service is not available, or over capacity, etc... I imagine you wouldn't be smiling that much, would you? 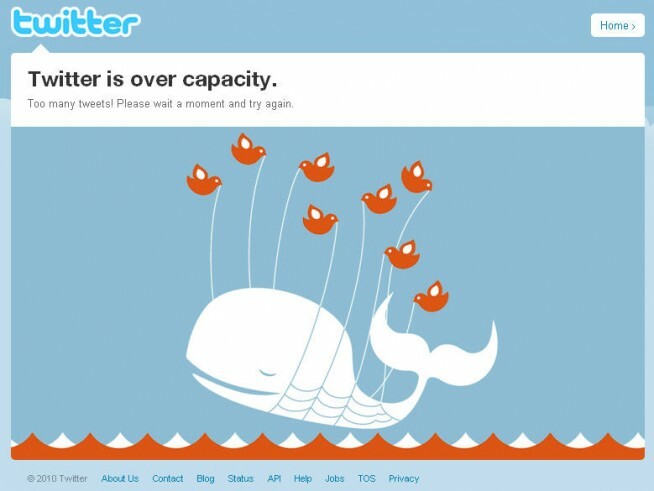 This screen is what I got from Twitter the last time I tried to tweet the community. And I have to admit, I smiled... stored my tweet somewhere in my head and came back a few minutes later. So, why is Twitter forgiven as quickly as that? You may argue that Twitter might not be part of critical processes for all of us, and that an out of order online banking service would probably cause me to be really upset this time. Probably, or is it something else : has Twitter understood something most of others have not?